7.1 percent of the fast-food giant’s revenue goes toward salaries and benefits. … Thus, if McDonald’s executives wanted to double the salaries of all of its employees and keep profits and other expenses the same, it would need to increase prices by just 17 cents per dollar, according to Morelix. By contrast, the small business owners that actually operate McDonald’s locations are spending about a third of their income on employees. Using Morelix’s own methodology, this means prices would actually increase by 32 cents on the dollar if labor costs doubled, or an extra $1.28 for your Big Mac. Actually both the methods are wrong. They are wrong on two fronts – costing and pricing. 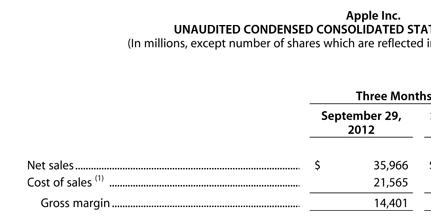 Let us not forget that the numbers reported in financial statements are for investor purposes as mandated by SEC. These are reported in aggregates, truthfully (mostly), but done in a way not to make it easy for competition to understand the cost structure. Do not expect the cost per unit number (marginal cost) for each product to be broken down and reported for competition to see. McD has a large product mix that spans the spectrum from premium to basic. Its margins (gross and contribution) on premium priced products are most likely higher than that from basic products. A moment’s reflection will convince you that labor cost does not change with product mix or number of units sold. So it should be treated as a fixed cost of operating the franchise vs. marginal cost on each unit sold. Both these analyses assume and do math using cost based pricing. That is you add up all your costs, distribute the costs among units sold, tack on a markup and voila you have price. Customers are not buying your products to defray your costs. See this article on ridiculousness of cost based pricing. Had McD set prices thusly then it is true that increasing prices will result in lower sales (demand schedule), hence fewer units to distribute the costs on, hence higher per unit cost allocation, hence even higher price, …. death spiral. Pricing comes before costs. A marketer will first find out what the different customers are willing to pay and set a price that maximizes their profit at given cost structure. If innovations or off loading cost components help reduce costs they will lower prices as long as the incremental profit from new sales is more than the lost profit from decreased per unit profit. McD wants to get its products into the hands of as many customers as possible. They as the brand owner gets to set prices. They set prices (using whatever demand schedule they uncovered) and try to make those prices at costs that deliver profits. With franchise model it works a bit more in their favor – they set prices and let the franchisees worry about making a profit at those prices after covering their total costs. If the franchisees see their current sales is not enough to make a profit, after paying McD its due (franchise service fee , rent, marketing expenses and materials cost to McD), labor costs, investment costs and all other operating costs they may decide to either quit and do something else or look for ways to squeeze other costs. For instance they could force McD to reduce the service fee, rent or materials costs. If McD sees drop in gross sales because franchisees see an unprofitable business they may either set higher price point thereby catering to fewer customers or change product mix. Note that I did not say price increase but said, “set higher price point“. There is a huge difference. The former means passing on cost to customer while later means deciding to let go some customers who are not willing to pay the higher prices. If McD should change the product mix they may choose to opt for premium products, different service and better experience. That product strategy will require a different labor that demands higher wages but franchisees may willingly pay those wages because of better profit from new product mix. A marketer decides to drive down prices to reach as many customers as possible because they can still maximize profits at those prices by driving down costs. If they were not allowed to drive down costs (by artificially passing on to others) they will choose to set higher price points and serve a different segment vs. serving all. If McD's could raise the price of a Big Mac by $0.68 with no adverse impact to the biz, don't u think they would've done it long ago? Yes they would have as I wrote previously on this topic. There you have it. Costs have nothing to do with pricing and paying living wages does not mean costs are being passed on to customers. On the same note when a business says they are passing on Obama care costs in each slice of pizza you buy you should question it. maybe you need a refresher in the most basic tenets of finance and accounting because gross margin is a percentage, not an absolute dollar figure. you’re referring to GROSS PROFIT, but calling it gross margin. But when Google Finance shows Apple’s financials they refer to it as Gross Profit. Sometimes we see Gross Margin Percentage explicitly used to indicate percentage margin. Again practitioners are not confused by any of the terms even when two of them are used interchangeably. Expressed as dollar value it revenue less cost of goods sold. Expressed as a percentage it is this difference divided by revenue. gross margin is the percentage that a company nets on the sale of a good after dividing it by its cost of goods sold. That is not true. What this person is confusing with is Markup. While Gross Margin (etc.) are financial accounting terms Markup is not. Its origins are in cost based pricing. You compute the cost to make a widget, add your preset margin you want to extract and call it the price. Which you, my right tail readers, know is simply gross way to set prices. It would serve us all well if we banish the “Mark Brothers” – Mark Up and Mark Down. Another note on Gross Margin – it is a financial accounting term used for financial reporting purposes. The intended audience are investors and regulators. Since competitors can also see this companies do not want to signal their exact cost structure. So they confound this number with a share of fixed cost allocation from manufacturing. If you as a product manager or marketer going to worry about margin, worry about customer margin. Why Are LEGO Sets Expensive? I’m not sure I would say LEGO blocks are that expensive, but the statement is that they are expensive because they are so well made. Really, this has to at least be partially true. Finally he builds a regression model of price of Lego sets to number of pieces in each set. In essence, Allain made up his mind that Lego is expensive because of the intricacies in manufacturing, its cost of materials and number of pieces. He then collects data that would support his claim but quickly discards them with alternative explanation when data doesn’t fit his claim. But lost in all this are some published hard numbers from Lego. They have 70% gross margin and 30% operating margin. Note that I am using gross margin reported in financial statements that usually include other fixed cost allocations to confound the numbers. That is Lego’s real contribution margin (price less true marginal cost) could be higher than 70%. Even if Lego were to cut is price in half they would make as much gross margin as MegaBloks that makes Lego compatible pieces. Intricacies in manufacturing and cost of hard plastic do not contribute to Lego’s costs (or prices as Allain claims). That is Lego does not incur any additional costs because, “they are so very well made”. Lego is priced thusly because they identified customers who value its offering and are willing to pay the price premium despite the presence of cheaper alternatives. All the reasons about details of pieces and their size variance are post purchase rationalizations we tell ourselves to justify the price we paid. Your costs are just that, your costs. Costs are not something you pass on to your customers (unless you use that as ploy to pass on price increases). 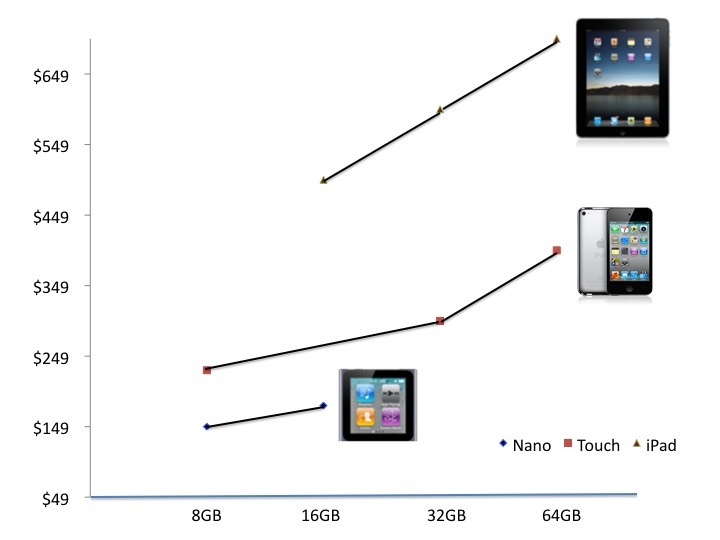 The New York Times Bits blog laments about the giant markup Apple and Amazon charge on flash storage. Bits blog not only complains about the price vs. cost difference but also caught on to the price difference between Kindle and iPad for the same storage. Kindle: 16 gigabytes for $300 and 32GB for $370; to enjoy 16 extra gigabytes of storage, a customer pays $70 more. For its smaller 7-inch tablets, Amazon charges $50 more for an extra 16 gigabytes. iPad: You can get a 16GB model for $500, a 32GB model for $600 or a 64GB one for $700. That’s $100 extra for that first 16GB bump, then a relatively cheap $100 to get from there to 64GB. Yes both Kindle and iPad are able to extract lot more consumer surplus with their flash pricing. That is because they figured out their customers value the additional capacity lot more and are willing to pay the additional $100 (or $70) for doubling capacity. This is not markup and the fact that flash costs 50 cents per gigabyte should not matter. Of course, when you buy a new gadget, you’re not just paying for a slab of components. The maker of the product is trying to get you to cover the cost of research and development, manufacturing and advertising, and still rake in some profit. Note how sure the author is – “Of course, you understand the price you pay is …”. Let me do my own convincing and point out that – of course customers are not concerned about your costs. They are not paying the price to defray your costs. Besides R&D, Manufacturing and Advertising costs are sunk and are not attributed on a per unit basis. Customers pay for what they value and marketers charge for that value. If marketers figured out a way to deliver the value at the lowest possible price it does not mean they have to pass on the savings as lower prices unless they are forced (by market forces) to do so. 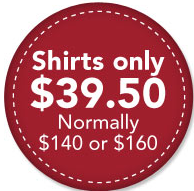 Call this effective pricing and don’t call it as markup. As a customer do I lament alongside Bits blog? I do. But as a product guy I admire their pricing. Why Apple does not include earphones with iPad? Think of the last time you were at a ballpark and paid for beer. You likely remember paying at least twice as much as what you pay in a restaurant and four times as much what you pay in retail stores. Which ballpark in the country has the most expensive beer? According to the NPR story it is the Marlin’s ballpark. According to an analysis by TheStreet.com, the most expensive beer of any baseball stadium is sold at the new Marlins Park, where baseball fans pay $8 for a Bud Light draft. Why do baseball parks charge you a “small fortune” for a beer? The cost based argument is to justify the higher prices and nothing more (like we saw with Starbucks story). If you read my Groupon book, there is a chapter on how different customers are willing to pay different prices for the same product. One of the example I used is the price of beer at ballparks. Some are willing to pay the set price to enjoy the beer and some aren’t. Ballparks, with so much data about their customers in their hands, can easily find the price at which their profit from beer is maximized. They don’t have to sell beer to most number of people, they only have to maximize their profit. This fan may not buy all the time but does a few times. From the ballpark’s perspective people like Marinelli don’t have to buy beer on every visit, because there are lot more fans like him and there are lot others who are willing to pay every time. An additional thing going for the ballparks is there are no alternatives. You cannot bring beer from outside. This is the reason why even at the peak of recession, beer prices at ballparks went up. See here for a detailed explanation of demand curve shifts. They understand reference price of their customers (remember the famous willingness to pay for beer experiment by Richard Thaler). Customers have been trained to expect higher prices in such public venues and Marlins is merely building on it. How do you price your products? And how do you communicate how you price your products to your customers?